Melding musical styles such as Funk, RnB, Jazz and Fusion, this 9-piece act change musical gears with ease, resulting in a compelling live performance that celebrates the groove and embraces improvisation. Since the release of their highly anticipated debut album, Sojourn, and a sold out launch show at Melbourne's Gasometer hotel in Sept 2016, Pickpocket have continued to spread the groove love around some of Melbourne’s top live music venues. As well as being a favourite at Melbourne’s Paris Cat Jazz Club, the band were featured at the 2017 Stonnington Jazz Festival ‘Funk Big Band Party’ event as well as the Mordialloc Food and Wine Festival where they kicked off the day in style on the main stage. 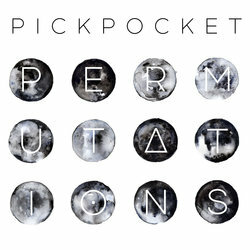 Permutations sees the band delving into some deeper groves and richer harmonic textures while paying homage to our musical roots and attempting to push into newer musical spaces. The EP also features two guest soloists: Swedish Trombonist Nils Landgren and Incognito and Resolution 88 keys man Tom O’Grady. Pickpocket have grown from strength to strength and built up a reputation as a formidable live act with energising performances from some of Melbourne’s most in demand musicians coupled with a unique compositional style.